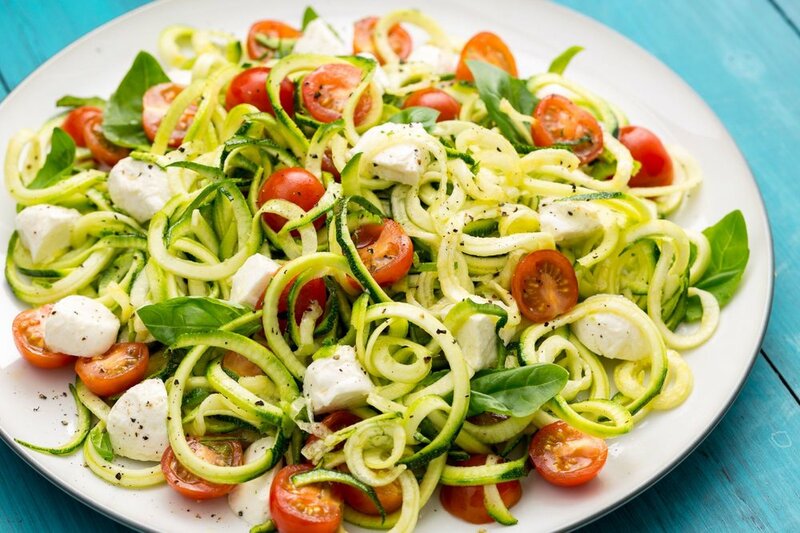 Using a spiralizer, create zoodles out of zucchini. Add zoodles to a large bowl, toss with olive oil and season with salt and pepper. Let marinate 15 minutes. Add tomatoes, mozzarella and basil to zoodles and toss until combined. Drizzle with balsamic and serve.